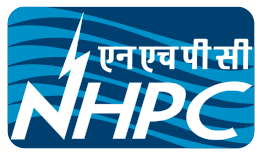 NHPC Limited (Formerly known as National Hydroelectric Power Corporation Ltd.), A Govt. of India Enterprise, was incorporated in the year 1975 with an authorised capital of Rs. 2000 million and with an objective to plan, promote and organise an integrated and efficient development of hydroelectric power in all aspects. Later on NHPC expanded its objects to include development of power in all its aspects through conventional and non-conventional sources in India and abroad. At present, NHPC is a Mini Ratna Category-I Enterprise of the Govt. of India with an authorised share capital of Rs. 1,50,000 Million . With an investment base of over Rs. 3,87,180 Million Approx. , NHPC is among the TOP TEN companies in the country in terms of investment. 0 on: "National Hydroelectric Power Corporation hiring for Trainee Engineer"